We get it - moving the elf and coming up with creative ideas for the little man each night can turn into a drag! 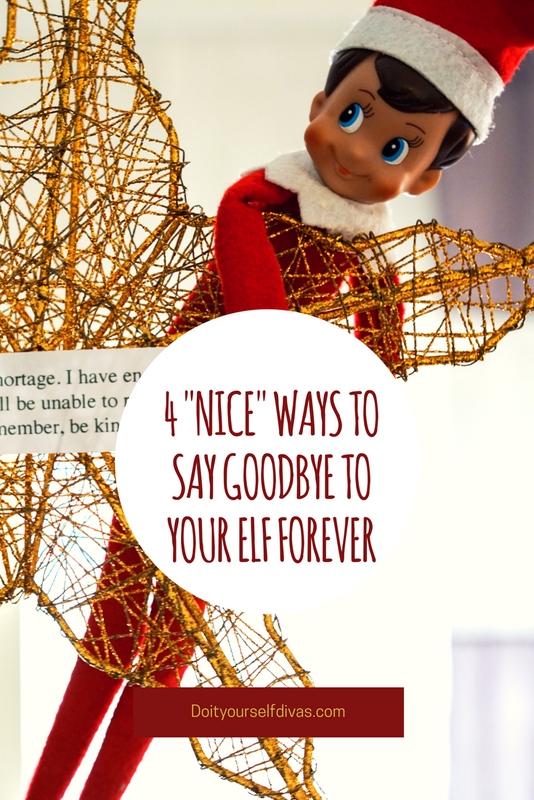 If you are ready to end the relationship, here are a few ways to get rid of the elf on the shelf forever. 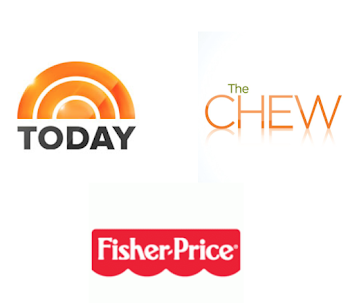 These ideas were the "nicest" ideas we could think of. We don't want too many tears shed over it this breakup! 1. I have been promoted by Santa! This means I’m off on a new adventure in Santa’s workshop and I won’t be able to return to watch you kids. I am sad to go, but I will always hold you close to my heart. 2. Dear sweet children, there is a pixie dust shortage. I have enough to get me back to the North Pole tonight, but I will be unable to return. 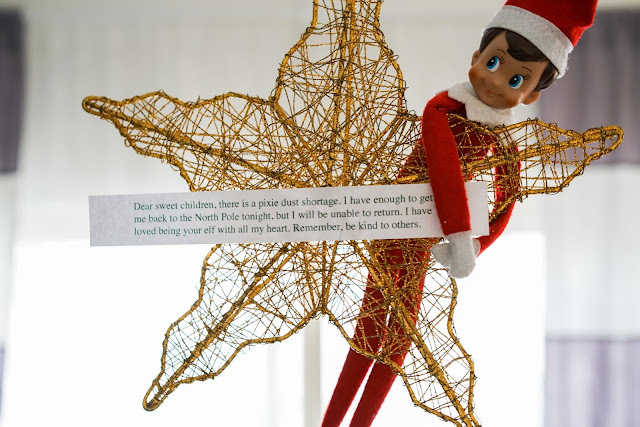 I have loved being your elf with all my heart. Remember, be kind to others. 3. I have wonderful news! My dear elf wife Pixie and I are expecting our first baby! I will be retuning to the North Pole tonight to be by her side, and sadly I won’t be able to return. I now have my own family to watch over. Please never forget me, as I will surely never forget you! Sweet dreams precious children. 4. Dear children, there is a shortage of Elves making toys in the factory this season. I have been assigned to be a toy maker and will not be able to return to your lovely home. I will be sure to make your gifts with my own two hands, and with extra love and care. When you play with your toys, think of me! 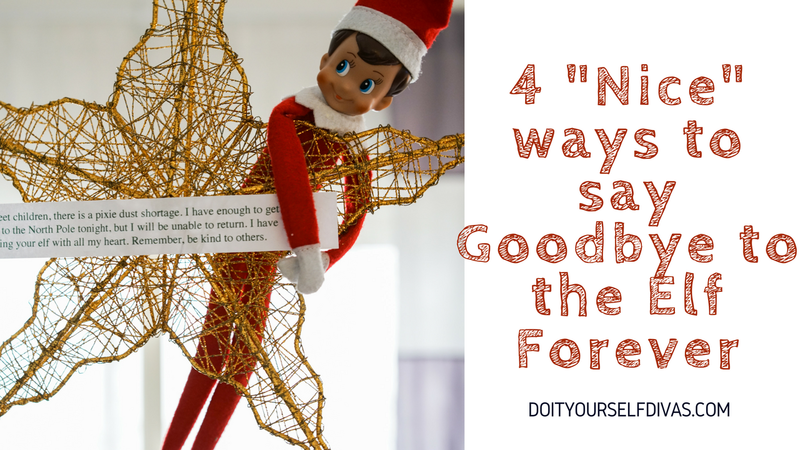 Leave a note from the elf saying that the kids have proven themselves and Santa trusts them - the elf is no longer needed. 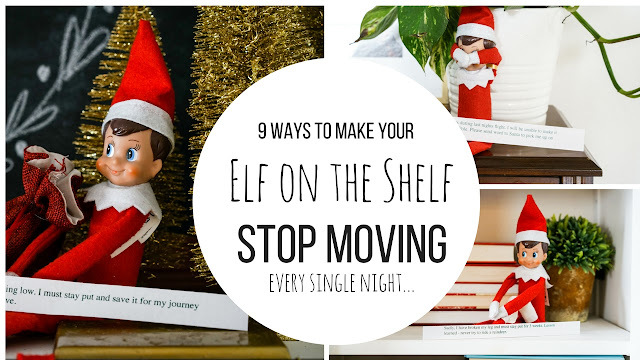 AND if you want to simply immobilize your elf, we have 9 ways to keep you elf in the same spot so you don't have to move him every night.